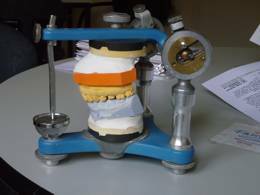 One of the most important prerequisites for producing perfect dental prostheses is the close and reliable cooperation with an excellent dental lab. In order to provide you with crowns, inlays and dentures which are functionally and cosmetically superior, our practice has incorporated a dental lab which takes orders only for our own patients. Our highly-skilled technicians can provide you with the complete range of artificial dentition. Our dental technicians are qualified through continuous training in every aspect of modern dental prostheses. In order to maintain their high standards they train under expert specialists. Aside from technical precision, our dental technicians strive to fully meet your expectations as far as aesthetic and cosmetic ideals are concerned. Cosmetic design is extremely important in making ceramic inlays and for designing ceramic crowns, facings and bridges as well as dentures. For best results, our technicians can be present in our office at any time to discuss your preferences and ideas. It makes a great difference whether the technician only gets to see the teeth as a plaster model or whether he can actually see them in their natural oral environment. 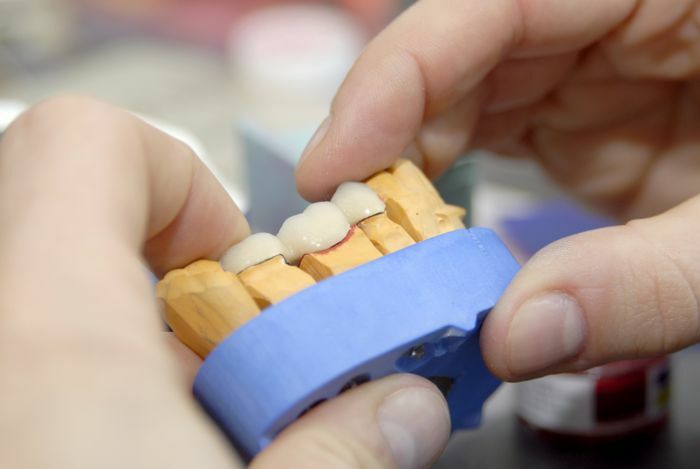 Our technicians can also produce crowns, bridges and partial dentures mounted on implants. 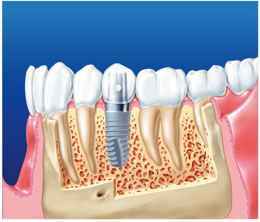 Implant-based prostheses provide a high degree of convenience with the sensation of natural teeth. Outstanding precision is another important quality of the work we produce in our dental lab. This is particularly significant for complex prosthetic pieces such as telescope crowns and German crowns. The prostheses made in our lab usually fit so well that further re-designing is unnecessary. This means that our patients generally do not experience delays in the treatment plan or waste of time due to repetitions. Now and then due to vacation or illness, our dental lab may be unable to take care of all of the work in progress. In this case we rely on our competent commercial partner labs to process our orders and help insure normal scheduling for our patients.